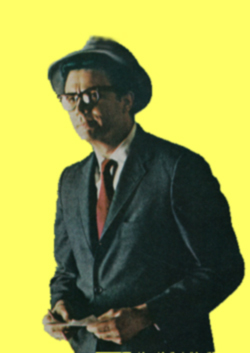 The year 2003 will always be remembered by Bob Holiday fans as the year that Bob returned to public life. 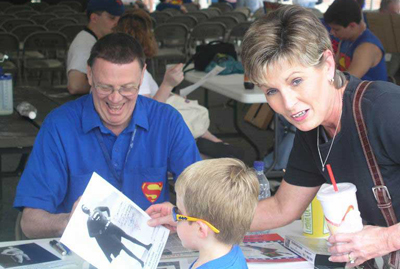 In 2003, Bob was one of the featured guests at the 25th Annual Superman Celebration in Metropolis, IL. 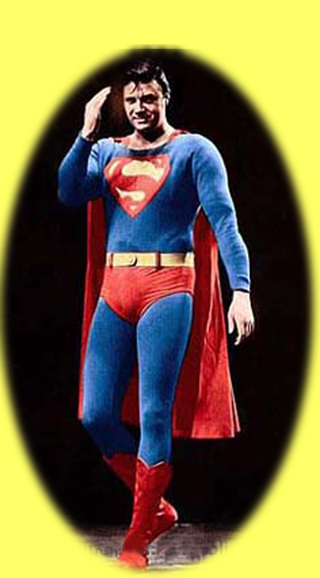 Bob had a wonderful time in Metropolis. He felt honored to be remembered by so many fans, and he was energized by the receptive audience and the many people who sought his autograph and bought the book he co-authored with Chuck Harter. His friends Steve McCracken and Brian McKernan co-produced the documentary Holiday in Metropolis, and Steve built Bob's original website. Through the website, many fans—now middle-aged men and women—found Bob after searching for him since they'd seen him on Broadway in 1966. 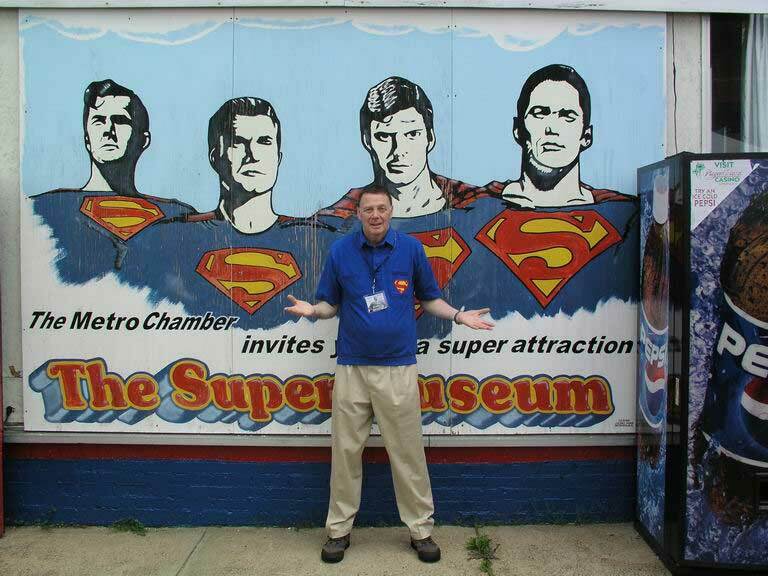 Bob had a bit of fun with the terrific mural in Metropolis that memorialized "all" the incarnations of Superman. Can't you just hear him? "Wha' happened? Did they forget me?" Bob's irrepressible sense of humor was definitely on display. So when Metropolis announced that they were modernizing the mural, many Bob Holiday fans assumed he'd be included in the new one. Not to worry. The Superman Museum in Metropolis, IL has started the Ham "Brick" Project. THE HAM “BRICK” PROJECT (a play on words referencing Museum founder Jim Hambrick) enables you to express your appreciation for Superman with an individually customized engraved Brick! These commemorative “Ham” Bricks will be inserted into the sidewalks surrounding the SUPER MUSEUM to memorialize YOU and your fellow fans of the most famous fictional character in history! So Bob finally has a permanent place in Metropolis.